Three-time Olympic champion Paavo Aaltonen is one of the most successful Finnish gymnasts of all time. Aaltonen won gold in vault, pommelled horse and team competition at the 1948 Olympic Games in London. In the pommelled horse he tied for gold with two of his fellow countrymen, Veikko Huhtanen and Heikki Savolainen. This is the only case in Olympic history where three athletes from the same country have won gold in one individual event. Aaltonen’s fourth Olympic medal in London was bronze in the overall competition. In 1950 Paavo Aaltonen won gold in horizontal bar at the World Championships in Basel, Switzerland. He thus became the first athlete from the Finnish Workers’ Sport Federation (TUL) to win a world championship title. 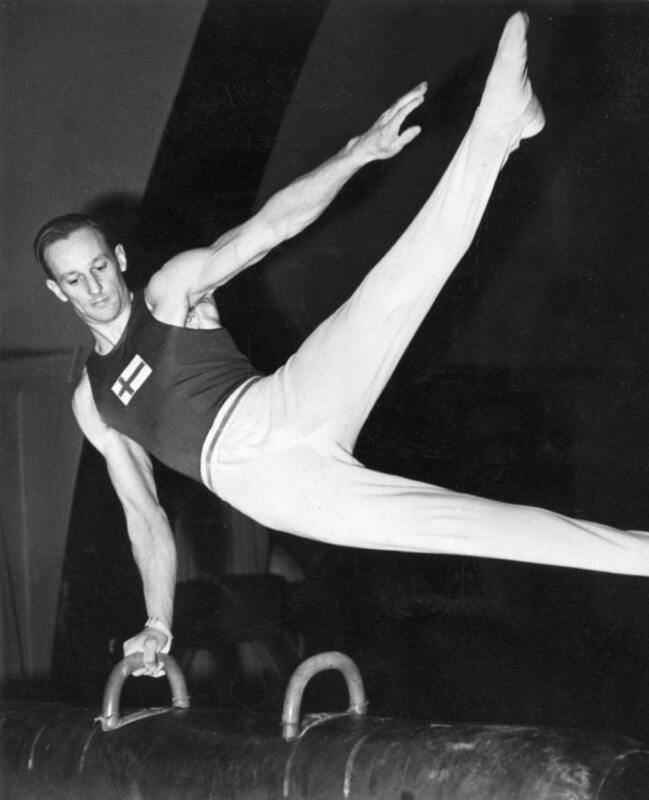 Aaltonen retired from gymnastics after gaining his fifth Olympic medal, bronze in team competition at the 1952 Games in Helsinki.